Here's the latest addition to the site. picture and a caption you'd like to include. 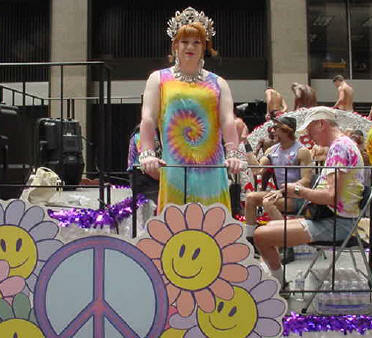 Gay Men's Chorus at NYC's 2003 Gay Pride Parade." 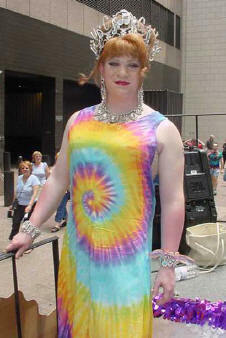 Tie-Dyed Tee-shirt kitchen uniforms by DTDF!